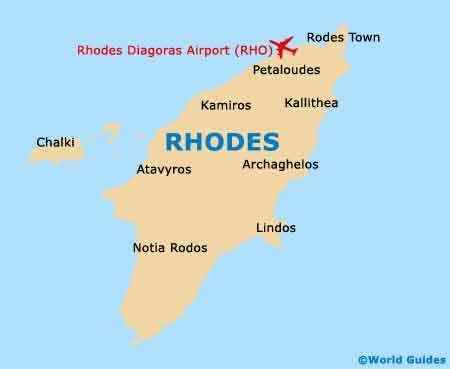 Almost resembling a spearhead in its shape when viewed from above, the island of Rhodes is part of the Dodecanese islands. Enjoying a very scenic and beautiful setting in the Aegean Sea, Rhodes is extremely close to the Turkish border, which lies just 18 km / 11 miles to the north-east. 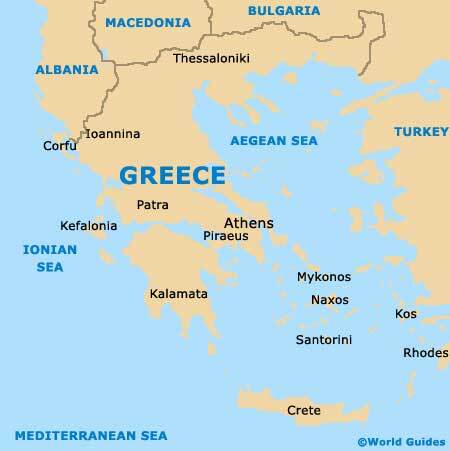 The famous Minoan island of Crete is located to the south-west, while other islands of note include Karpathos to the south-west, Kastellorizo to the east, and Astypalea, Kalymnos and Nisyros, all of which are sited to the north-west of Rhodes. With a coastline stretching for more than 200 km / 124 miles and a seemingly endless supply of beach resorts, the island is much larger than many people actually realise. 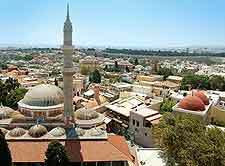 The capital of the island is Rhodes Town, and this tends to be where the best hotels, restaurants and sights are located, with many scattered around the historical Old Town district. Those wishing to explore the Old Town will find it divided into three areas, the Hora, the Jewish Quarter, and the Kollakio (Knights' Quarter). Maps of Rhodes Town and the island itself are strongly recommended, particularly if you are intending to find your own way around by car. The EOT Tourist Office on the corner of Papagou and Makariou supplies good maps of the island, along with a very handy English-language newspaper, which is completely free of charge.